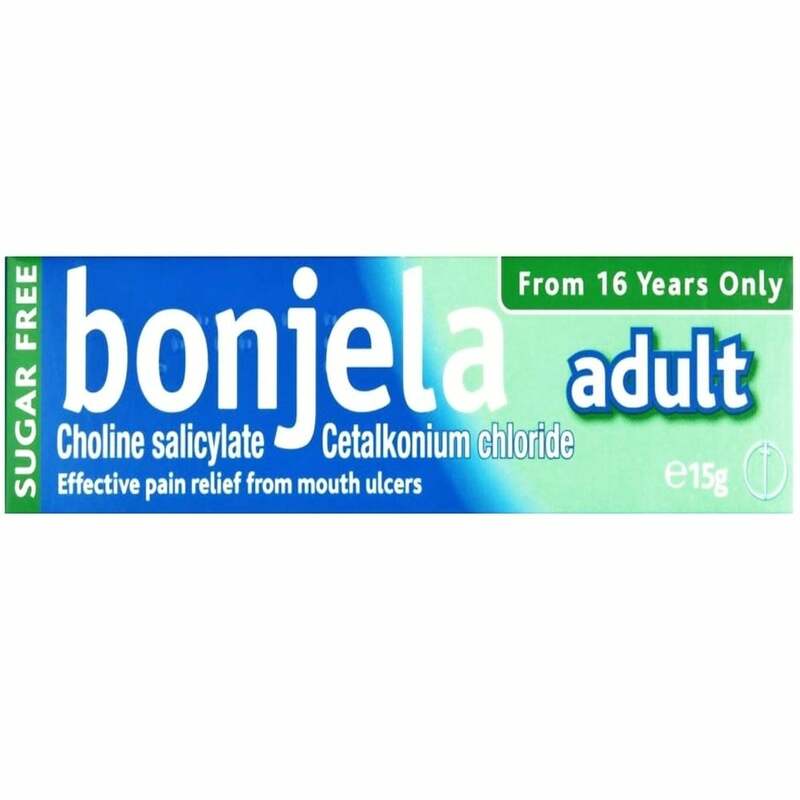 Bonjela Adult Gel provides effective relief from pain in the mouth, for example, mouth ulcers, cold sores, dental irritation and braces irritation. A gel, suitable for use in adults and children over 16 years of age which provides pain relief of mouth ulcers, and denture irritation. The original Bonjela gel, containing a non-steroidal anti inflammatory drug that helps to relief pain, inflammation and temperature. Adults: Apply half an inch of gel to the sore area every three hours as needed. Where dentures are causing discomfort, apply gel to the gums thirty minutes before putting teeth in mouth.Use as needed but no more than six times in 24 hours. Choline salicylate8.714%w/w and cetalkonium chloride 0.01%w/w.